New Orleans-born and L.A.-raised Frank Ocean has been one of the most consistently interesting and mysterious pop stars of the 2010’s. After helping shape the sound of boundary-pushing and controversial L.A. rap collective Odd Future, Ocean released his first mixtape, Nostalgia Ultra in 2011. Frank Ocean was then highly featured and highly involved in the production of the blockbuster rap collaboration of Jay-Z and Kanye West on Watch the Throne, before finally splashing with his debut album, Channel Orange. The album showcased Ocean as one of the brightest young songwriters around, echoing Prince and Stevie Wonder at their very best, and setting the groundwork for a legendary career as a singer and songwriter. To add even more intrigue, Ocean came out in a letter on his website which corresponded almost directly with Channel Orange’s album release. Then Ocean pretty much disappeared from the spotlight for four years, before suddenly teasing a new album titled Boys Don’t Cry to release August 12th. 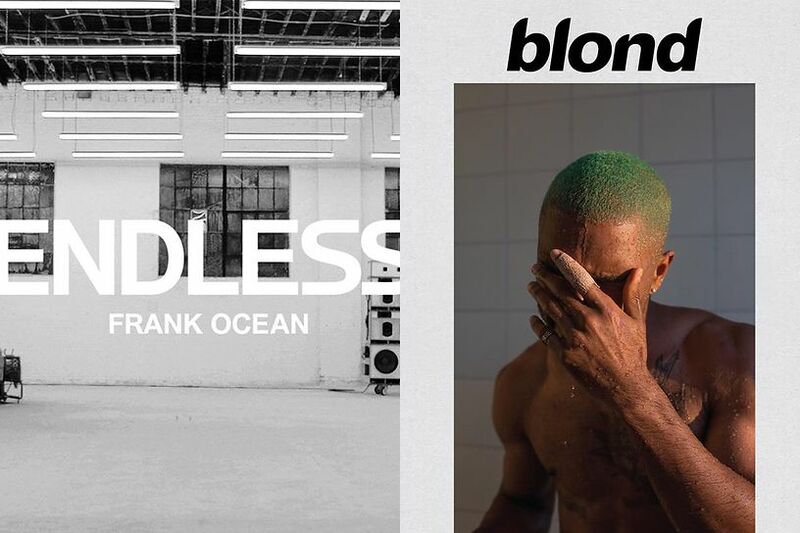 The day came and went, and then a week later, Ocean dropped two albums on Apple Music, a visual album called Endless and Blonde, the studio follow-up to Channel Orange. He also ended up releasing a Boys Don’t Cry zine that he released for sale at various music stores around the country which includes an entirely different version of Blonde. I guess the extra week was worth the wait. So after four years, was it really worth all the wait and hype? Yes and no. 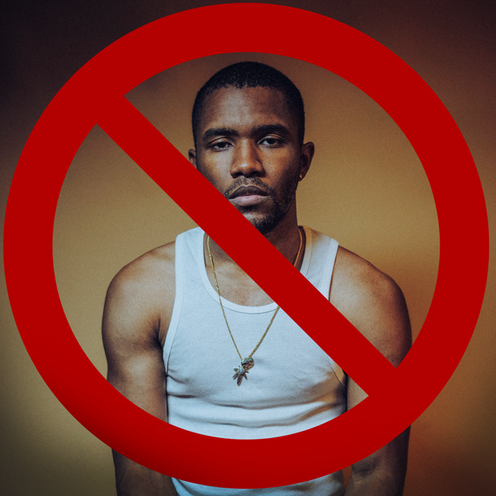 Some fans were so disappointed with Frank for not releasing his album on 8/12 that they signed a boycott. Some fans need to get a life. But really the answer now and over the long haul will be yes. Endless and Blonde are most certainly slow burns, but full of novel musical ideas, their own undeniable sound, and a vulnerability that so few artists can reach. Endless largely feels more like a table-setter, which is how it was used on the two albums release weekend coming out the night before Blonde. It’s melodies don’t burn as bright, and without any easy track list to grab, it stands as more of a mood statement and conversation piece than anything. There are still notable moments. “U-N-I-T-Y” has Frank flashing his rap skills for really the first and only time on both Blonde and Endless. At the album’s close, Frank splits into Pet Shop Boys mode on “Higgs”, a chic, bass-heavy form of new wave which really breaks the album up for its most hypnotic stretch. It’s a very varied album but feels very seamless and of one piece even if a little less memorable than Blonde. Blonde feels like the proper follow-up to Channel Orange and where Ocean focused his time and energy: the production is crisp and exact, everything feels as it should be, where Endless feels more like a mix tape of sorts. Lead single “Nike” definitely sets the tone of the beautifully spare sound to expect on Blonde: processed but expressive vocals, bright and airy arrangements, and mood-led songs lacking the major hooks of Nostalgia Ultra and Channel Orange. You won’t find yourself singing choruses but rather getting little moments and lines stuck in your head: it’s certainly catchy if unconventionally so. While other black artists like Beyoncé and Kendrick Lamar are making bold statements about the unjust world we find ourselves in, Frank Ocean isn’t focused on racial injustice beyond the occasional empathetic passing line on Blonde (“R.I.P. Trayvon, that n**ga look just like me”). That doesn’t make Ocean’s album any less ambitious: Ocean feels like the millennial descendant of Stevie Wonder to me. He’s making music that fits well in this world and this time, but it’s soft-hearted, musically sophisticated, and ultimately exploring a brighter future. If Channel Orange was his Songs In the Key of Life, Blonde is his Innervisions but without the funk and the hits. The slightly strange-sounding ballads like “Ivy”, “Nights”, and “White Ferrari” really feel like something Stevie could have released if he was born 40 years later. Frank also brings the church into his music like Stevie especially on “Skyline To” and “Godspeed”. He sings with an open-voice that is pretty rare to find outside gospel and truly draws you in. “Godspeed” opens with a piano line that sounds like it could be worship anthem “Revelation Song” before splitting into the open-armed love song it is. All the weird production tricks serve as an interesting counter to the nakedness of Ocean’s voice: he remains vulnerable and open to love even as the noise attempts to break him. I’ve said this before, but the most interesting work being done these last few years is in R&B. Beyoncé, Janelle Monae, Frank Ocean, D’Angelo, Bon Iver, FKA Twigs, Thundercat and even Kendrick to some extent (though he’s pushing hip hop and beyond) are making timeless and timely artistic statements both musically and lyrically. Frank Ocean isn’t looking to make the big attention-grabbing statement, but is special for just being himself. This spring has been full of musical surprises like no other year. 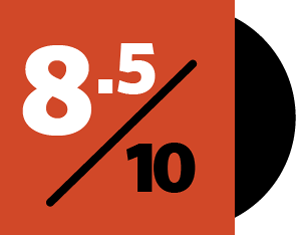 Five major artists announced and released albums as a surprise on short notice, and instead of breaking each of them down in separate reviews, we thought it best to rank and mini-review each album. So here are our spring 2016 surprise album power rankings. Since Drake’s 2015 mixtape If You’re Reading This, It’s Too Late and his phone jam “Hotline Bling”, people have been anticipating the tentatively-titled Views from the 6 for almost two years. Then on April 4th, Drake finally announced the album with a slightly shortened title, Views. The album finally dropped at midnight on April 28th exclusively in Apple Music. After two years of anticipation of a big Drake magnum opus, Views is certainly ambitious at 20 songs but falls flat. Drake seems stuck in neutral for his past few releases, unable to move forward emotionally or musically. The album suffers from being about 8 songs too long and some poor sequencing as well. The album only picks up speed about 10 songs in, when its biggest highlights hit. “Child’s Play” has Drake singing playfully about America’s favorite restaurant, “One Dance” is Drake picking up the dancehall vibe and running with it, and “Hotline Bling” which was tacked on the end of the album to just boost some sales. Mostly Views is severely disappointing. Verdict: Leave Drake alone on his perch. In November 2014, the neo-soul electronic musician James Blake said he was mostly done with his third album and it would be released in spring 2015. This, of course, didn’t happen. In February 2015, some rumors surfaced that the album would finally be coming out soon but without a date. On April 28th, Blake released some photos on his social media revealing the album title, and then a few days later on May 6th, Blake released the album at midnight. James Blake is someone I have been lukewarm on for two albums, but his latest, The Colour In Anything, showcases why he’s one of the most sonically interesting musicians around. Beyond having a smooth and soulful voice, Blake undercuts and contrasts his voice with an incredible range of sonic distortion, electronic dissonance, and range in audio dynamics, going from extremely soft and sweet to an all-out alarming mix of noise. Blake also knows how to build a hypnotic and arresting album like few others. “Love Me In Whatever Way” is a great example of how James repeats a phrase as the sonic waves build higher and higher before consuming him. “Timeless” showcases his ability to pick a variety of seemingly dissonant sounds that whirl together in wonderful and interesting ways. “I Hope My Life” takes the cold synth-pop of 80’s greats like the Eurythmics and the Pet Shop Boys to great new heights. Experimental rock greats Radiohead are a band that certainly needs no introduction, and a band that is known for experimenting with surprise releases ever since 2007’s In Rainbows when the band allowed fans to “pay what you want” for the album. 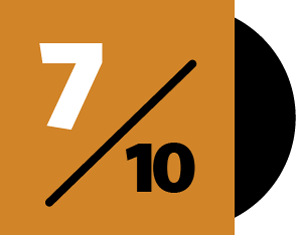 The latest release cycle started on May 1st when the band deleted their internet presence entirely, deleting all posts from their social media and taking their site Dead Air Space down. Then the band released teaser videos on May 3rd before finally releasing the first single and video “Burn the Witch.” A couple days later (May 6th), they released a second single and another video, this time the Paul Thomas Anderson-directed (There Will Be Blood, Boogie Nights, Magnolia) video for “Daydreaming.” The same day the band announced the albums release on May 8th, where the album A Moon Shaped Pool, was released on all streaming and download services including Apple Music, Google, and Spotify, which Radiohead and previously criticized and kept their music off of. The best comparison for Radiohead’s latest is 2007’s In Rainbows, where Radiohead created a truly beautiful record. In the same way, A Moon Shaped Pool has plenty of experimentation (primarily from the dissonant strings and orchestration of guitarist Jonny Greenwood) but at its core, it’s pretty Radiohead: Thom Yorke singing tenderly over lush piano and orchestration singing with tenderness and urgency. Lead track and single “Burn the Witch” was a song made for our times. Over menacing strings, the song drives an arrow through our irrational, witch-hunting, outrage culture which has led to this insane political climate and social media mess we live in. Like much of Radiohead’s music, the album drips with the danger of an impending apocalypse, the darkness lurking right around the corner. A Moon Shaped Pool is one of their most listenable albums, but also subtly brilliant in its detail. These little touches and flourishes on each song take these songs from good to great. “Identikit”, which was produced in Jack White’s Third Man studios, showcases the sophistication of drummer Phil Selway and each player adds layers of complement and turmoil. “Decks Dark” has almost an operatic tension as the haunting choir is a cloud hovering over Thom Yorke’s voice and piano. “True Love Waits” is an incredible example of Radiohead’s timing and brilliance. The song was written in in 1995 and has been played occasionally live, but has never found an album home. Now, 21 years later, “True Love Waits” is the perfect, poignant close to Radiohead’s prettiest album. Chicago rapper and pride of the South Side Chance the Rapper released his third mixtape Coloring Book at 11PM on May 12th. The mixtape was initially announced to release soon on April 4th, with Chance announcing the official release date on his live TV debut of “Blessings”, his second single off the mixtape (“Angels” was released and performed on ate night month’s earlier). The album released exclusively on Apple Music for two weeks, giving Apple another leg up towards catching Spotify in the streaming races. Taking some notes from his musical hero and fellow Chicagoan Kanye West, Coloring Book is an ambitious step forward for Chance and similarly straddles the secular and spiritual like much of Kanye’s work. Chance, though, leans heavily on the side of spiritual, since Coloring Book is more gospel as the main course with a side of hip hop and R&B. Chance’s mix of the best in hip hop and R&B production into gospel breathes new and fresh life into a genre of music that played an incredibly important role in the formation of rock ‘n’ roll and soul. Chance takes his child-like faith and boundless joy and puts it on record for all to hear, also showcasing the best of his home community. Turning on the nightly news, you tend to hear nothing but sad stories from the South Side of Chicago, but Chance paints a different story: a talented community filled with hope in the face of adversity, and faith that can move mountains. “No Problem” just jumps out of your earbuds with joy, “Summer Friends” snaps and crackles with incredible production with an assist from Francis and the Lights, and “How Great” somehow takes CCM anthem “How Great Is Our God”, auto-tunes it, adds a bunch of clever bible rhymes (“The type of worship make Jesus come back a day early”) and actually makes it sound cool and not corny. I’ve heard from a handful of people who were Chance skeptics who have said Coloring Book has made them believers. Beyoncé released lead single “Formation” right before her Superbowl performance in Feburary, making millions come to the shocking revelation that Beyoncé is black. Beyoncé then announced a mysterious video project on HBO called “Lemonade”, and turns out it was the debut of her new visual album Lemonade. The brilliance of Lemonade as a visual experience and piece of musical expression instantly made the internet go crazy, as did the witch hunt from Beyoncé’s fan base to find the woman that Jay-Z cheated on Beyoncé with. President Obama could cheat on Michelle and it would be less of a thing. Beyoncé’s last album was a self-titled surprise release during the holiday season in 2014, another visual album with a different video for each song. Lemonade, is a truly cohesive musical film, as Beyoncé wrestles with her husband’s infidelity in 11 different emotional phases (Intuition, Denial, Anger, Apathy, Emptiness, Accountability, Reformation, Forgiveness, Resurrection, and Hope and Redemption). Beyond looking as good as Terence Malick’s Tree of Life, Lemonade explores more musical flavors than any album before. “Hold Up” has Beyoncé on the verge of losing it with a reggae-tinged reworking of Yeah Yeah Yeah’s “Maps” by saying “Hold up, they don’t love you like I love you.” “Don’t Hurt Yourself” is Beyoncé finally letting her anger free with a thrashing rock track with the help of Jack White. “Daddy Lessons” is a southern-gospel flavored country tune with singing about her childhood. “Freedom” is an empowering anthem for anyone with obstacles to overcome, and specifically with the help of “Kendrick Lamar”, stands as an anthem for the Black Lives Matter movement. It’s incredibly rare for someone to reach their artistic peak nearly 20 years into their career, but Beyoncé is finally reaching her creative peak, and it’s awesome to hear. Verdict: Beyoncé accomplished what Kanye couldn’t: making people buy Tidal and not be angry about it. “Name one genius that ain’t crazy.” So says rap’s Donald Drumpf, Kanye West on his new album and self-proclaimed “greatest ever album” The Life of Pablo. Kanye’s last month of public behavior have certainly put into serious question his current mental health, Kanye is at least self-conscious enough to realize he isn’t the first artist to have some mental instability. 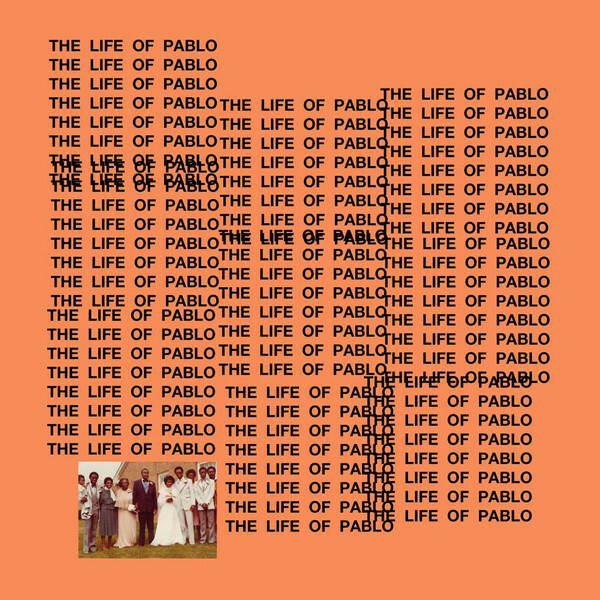 Pablo Picasso has been an often made comparison in terms of creativity and behavior, and while on the surface it seems completely crazy to compare Picasso and Kanye, to his credit, Kanye has influenced the last ten years in popular music more than any other artist and has tried his hand in several styles. Claire Boucher aka Grimes has a lot in common with pop singer Carly Rae Jepsen. Beyond both being Canadian, each know how to write a dance pop song (for Carly Rae: see “Call Me Maybe”, for Grimes: see “Oblivion”) and have just an incredible knack for melody. Their voices are sweet but small, and both write their own music (something a little uncommon for pop singers). But that’s where the comparisons end. Carly Rae looks the part of a popstar and also acts the part: she writes songs meant to be big pop hits and gets huge producers to help create that sound including Dallas Austin (Michael Jackson, Madonna), Max Martin (Britney Spears, ‘N Sync), and Josh Ramsay (Nickelback and Simple Plan). Grimes is not your normal popstar: she’s a weird art school nerd who loves anime and wears face paint onstage. She speaks her mind and produces and creates her sound all on her own. She’s able to make incredible pop songs without being so manufactured. If you ever see Grimes live (which I encourage you to do so), she absolutely works overtime: she creates all the accompanying music on keyboards and her laptop, does all the singing, and even does plenty of dancing. She’s in complete control and constantly moving. On her fourth album Art Angels and first in nearly four years since her debut Visions, Grimes amps up the pop but also the weirdness, making for an irresistible record that really only she could make. Last year around this time, Grimes scrapped the album she was working on, saying “it sucked”. The one song released from that scrapped album was “Go”, which was ultra-catchy and put her more in the EDM world, a more radio-friendly sound. She even came out saying she couldn’t stand her biggest hit “Oblivion” and didn’t like any of her singles. Because of all those comments, my assumption was this second attempt at the album would be creative but definitely not very catchy. But boy was I wrong. These songs are propulsive, infectious, and could be found on any number of radio stations. The difference though is the quirk she finds a way to throw in. The best example would be “Kill V. Maim”, obviously not your first choice for a pop song title, but the driving guitar line, teen star-like vocal, and cheerleader pre-chorus sound straight out of top 40 radio. However, “Kill V. Maim” is absolutely ferocious, with Grimes screaming like a death metal singer and using the beats to throw punches rather than just get you to dance. “California” is a bright, chiming pop song but it’s certainly not All-American like the Beach Boys: she borrows some Eastern and Oriental sounds to challenge your assumptions. “Scream” is probably the biggest odd-man out as its Taiwanese rapper Aristophanes rapping over a locked-and-loaded bassline with a bunch of screaming thrown in just to keep you on your toes. That may sound strange, and sure it is, but it’s visceral and intense and just sounds plain cool. It’s not all weirdness, and there is stuff here for people who could do with more dance music and less art school. The Electric Lady herself Janelle Monae is featured prominently on “Venus Fly”, a new feminist anthem that will have men and women alike moving to the beat. Closer “Butterfly” takes a bright, sunny melody and builds into the most optimistic and joyful song you will hear from Miss Boucher. While Grimes is still young (just 24), I can only think of two other current artists that match her combination of pop songwriting and incredibly individualized creativity: Janelle Monae and St. Vincent. That’s some pretty solid company. While she doesn’t have nearly the experience and accomplish of those two yet, she certainly has the talent to do it. Art Angels is another giant leap forward. When people think of Ohio indie rockers the National, they probably think of sort of sad, existential music. With all the theatrics the Dessner brothers are able to drum up and lead singer Matt Berninger’s deep baritone voice, the National’s sound is wholly distinct but also full of melancholy. But sometimes with all that heaviness you just need a spritzer. Matt Berninger’s latest project with Brent Knopf of the playful, dynamic Texas band Menomena is that just right change of pace: a quick, relatively light record that makes the most of Berninger’s soulful vocals but especially his sense of humor. When a band releases a huge smash debut that’s a critical and commercial success, I strangely feel sympathy for the band. Why? Well to follow up a debut that is the creative culmination of everything you’ve put together from your childhood until now in a year or two has to be overwhelming, and that’s not to mention fan’s crazy high expectations. It’s sort of a no-win situation for their second record. There are very few artists I come back to more than Beach House. Like other veteran indie artists the National and Spoon, the Baltimore duo’s output is so consistently great and essentially timeless in nature that its perfect to return to when the mood strikes.